We are excited to announce the import functionality with RQ4 has been completed. 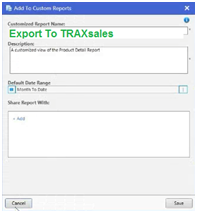 Once you have gone through the one time set up then it takes only a moment to import your sales data into eTRAXsales.com each week. When you do Trax will provide you an Analytics platform (over 20 unique reports that are designed to help you dramatically improve sales and profitability). This import should only take a few seconds to complete once you are set up but we will also be providing full API connectivity shortly. •	Profit Revenue averages for each customer that visits a location (if they purchased or not) with overall comparisons for the entire company. 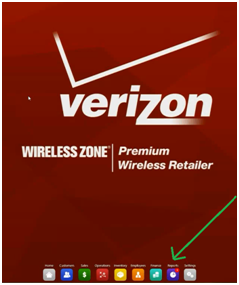 •	And the most amazing goals program ever invented for the wireless industry. 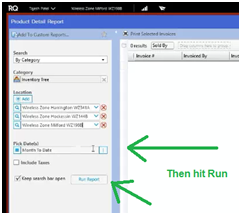 Locate Product Detail Report, by typing Detail in your search bar in the top right. 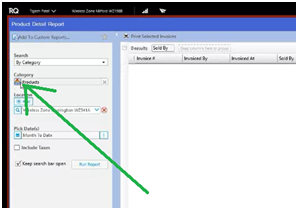 Then Select the date range you want to import and hit [Run Report]. 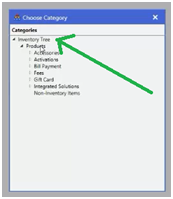 Make sure only these 7 items are selected. Finally select the Excel Button on the top right and your report is created. 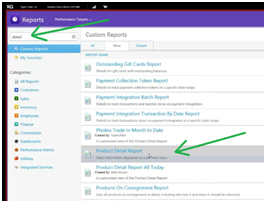 Once you have the report set up the way you want it then go to the top left and select Add to Custom Reports and Call this new report Export to TraxSales and RQ will save all of your preferences so that all you need to do next time is select the date range you want. 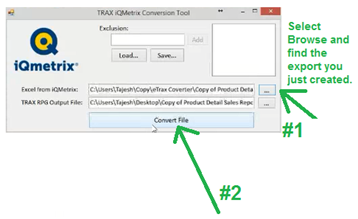 Once you have the finished Excel report then save it to a folder of your choice or your desktop so you can Import into eTRAXsales using the IQ Metrix Conversion Tool that is located here. Please call 713.466.7177 if you have any questions. Select Browse and find the file you just created, then select Convert File. 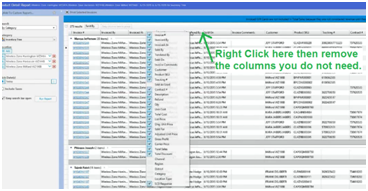 It will then create a new file on your desktop to be uploaded into eTRAXsales. #3. 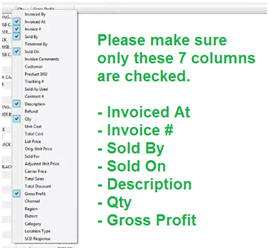 Most importantly set up import of sales data. 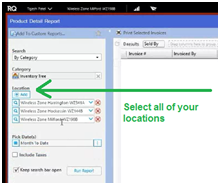 First find the report in your POS that gives you these five things Showroom ID, Salesperson ID, Date (by day), Sales Amount, # Transactions and save this in a CSV or Excel file on your desktop. 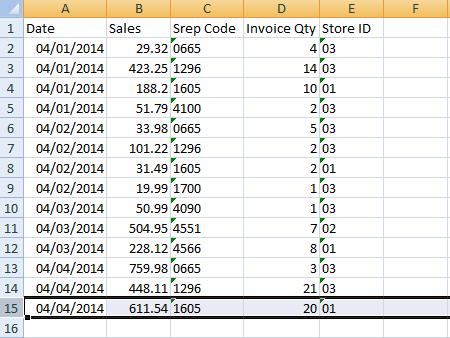 Example of an actual Excel file ready to import. Then please select Import RPG. Once set up this should take no more than 20 seconds. If you have any questions or problems with this please do not hesitate to call us immediately. 713.466.7177. Our email is support@traxsales.com and we look forward to your feedback. This is the most important part of the program and will insure that you will be delighted with this system for many wonderful years to come.